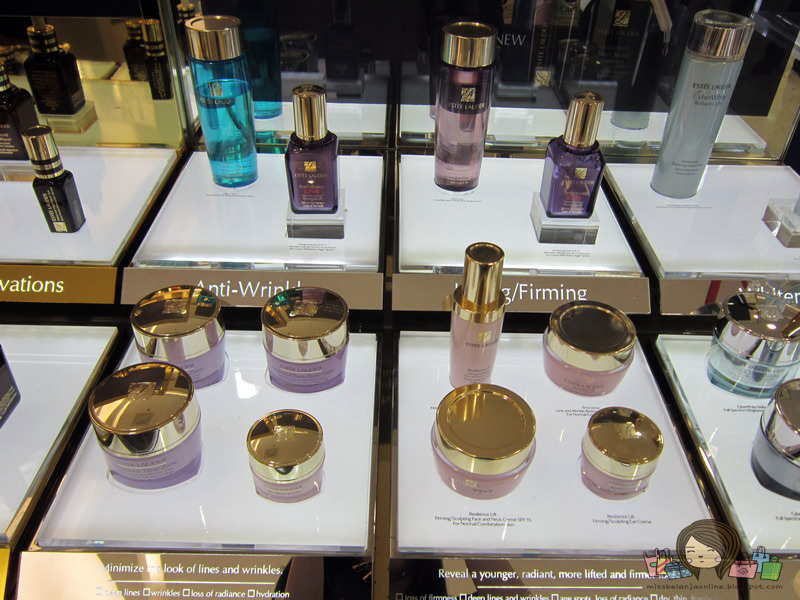 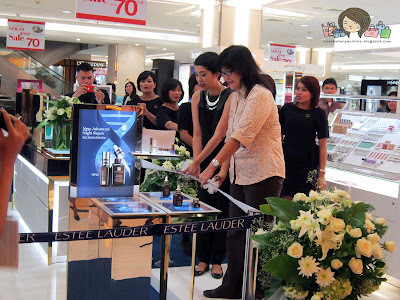 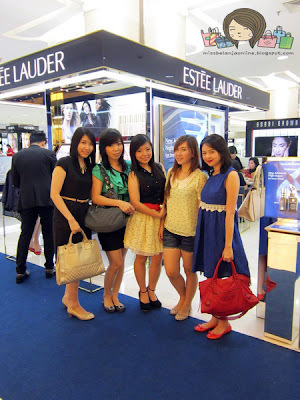 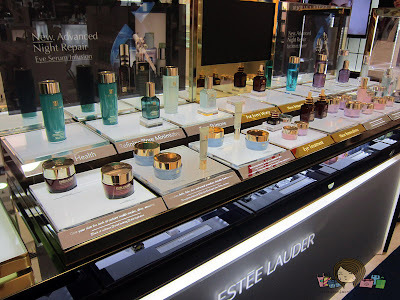 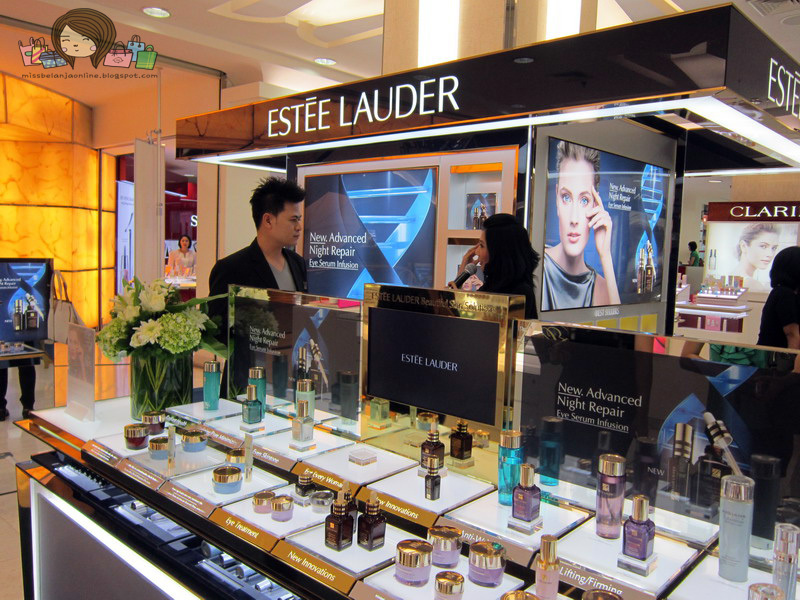 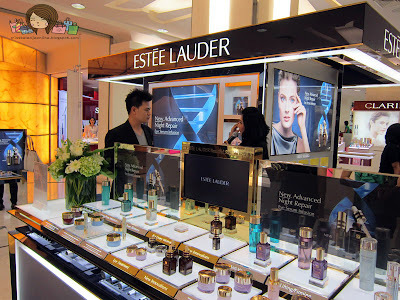 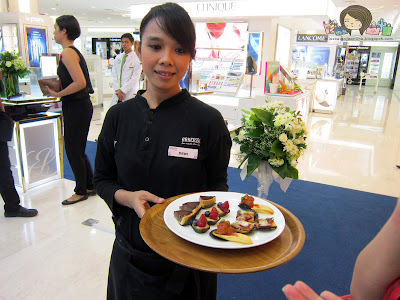 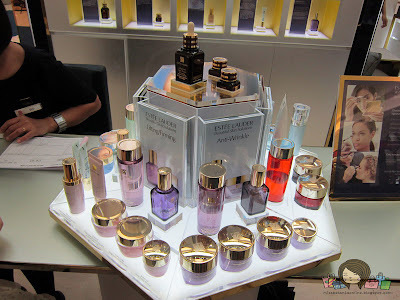 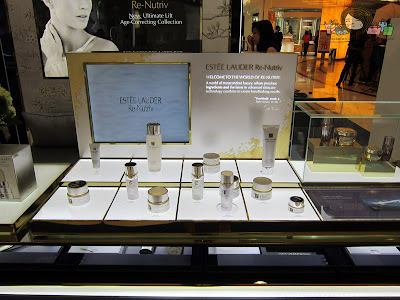 "Every woman can be beautiful"
Estee Lauder new counter has an open concept. They want customers to see all their products and not hesitate to ask about the product's information. 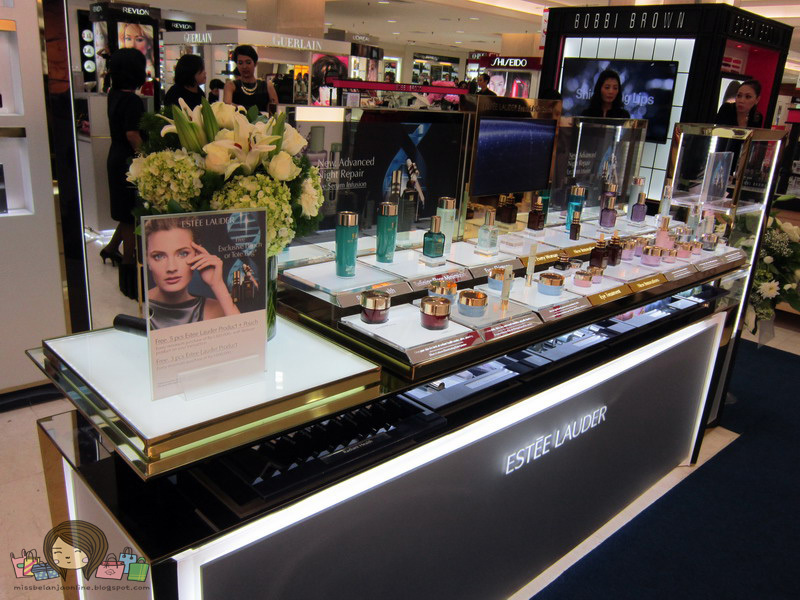 So, they have some bar named after their product's range (like: skincare bar, perfume bar, makeup bar, etc). For skincare bar they also installed a mini TV that shows a video about their best seller product. 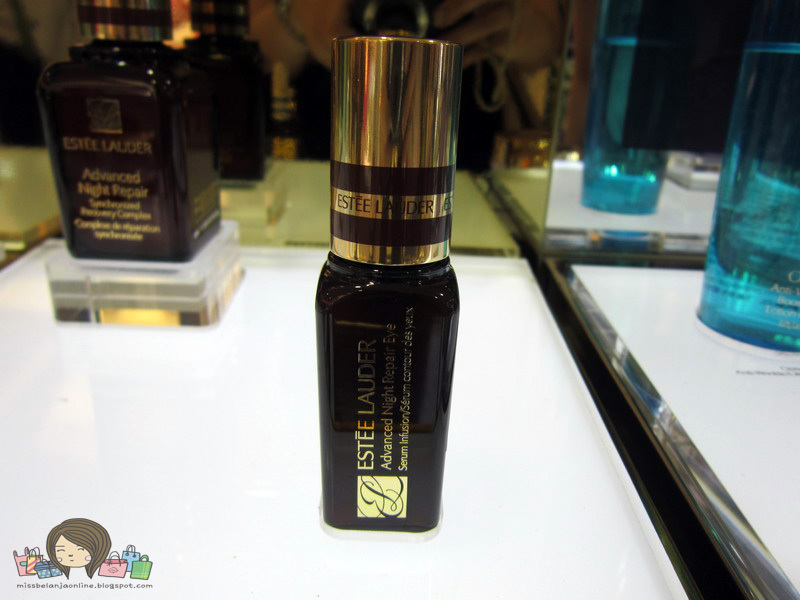 Aside for their new look, Estee Lauder also launch a new product called Advanced Night Repair Eye Serum. I'm sure many of you already know about Estee Lauder's famous product called Advanced Night Repair. 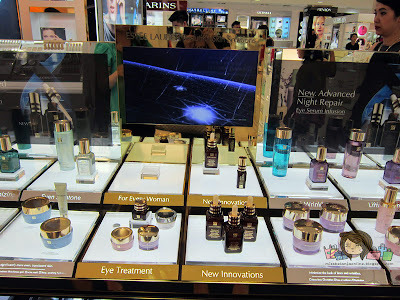 Well, this new product is under the same varian with the famous advanced night repair. The eye serum claims to have a light texture, absorb quickly and can be use alone or you can use eye cream after that. 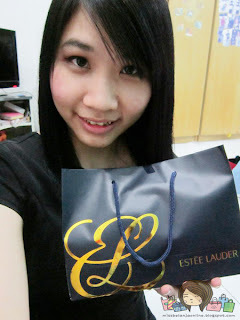 Estee Lauder has a very great deal for their customers. 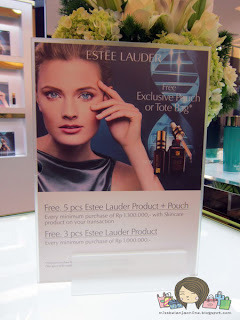 They offer free products with minimum purchase and also free cosmetic pouch too~ make sure you check out the deal and grab some of their products or if just want to see their lovely new counter, you can visit Estee Lauder's counter with the new concept at Sogo, Tunjungan Plaza 4, Surabaya.